The LUMii 1000 Watt Lighting Kit gives you professional level, powerful 1000w lighting at a cheap price. A study, cool running 1000w 400v ballast powers a double ended LUMii HPS lamp and is switchable between 600w, 750w, 1000w and a boost setting up to 1150w! 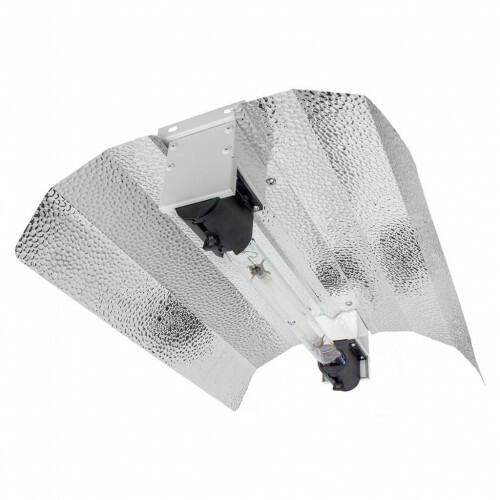 A euro style reflector pushes light down to your plants, it's highly reflective dimpled aluminum surface distributing the light evenly and eliminating hot spots.This is the perfect kit for a cost consious grower looking to get the most out of their plants and is ideal to cover a 1.5m x 1.5m area. 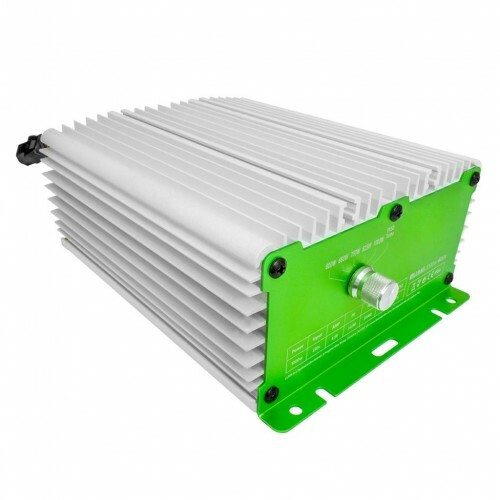 The LUMii 1000 W 400 V ballast is a high performing electronic ballast that offers great value for money. This technology is micro-processor controlled and works at a higher frequency (Hertz) than the standard magnetic ballast. It is a compact and lightweight design, cool running temperature and silent operation. The latest technology in High Pressure Sodium lighting. 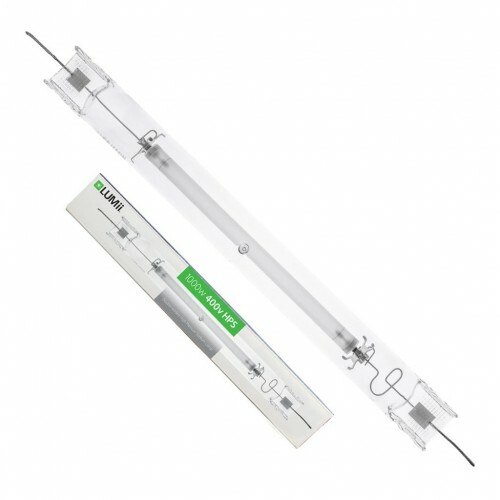 LUMii double ended HPS lamps emit more UV and IR light than traditional single ended HPS lamps, perfect for stimulating enhanced flowering. Double Ended lamps are also more stable than traditional single ended, increasing light intensity and PAR by 10%. Designed for use with the LUMii 400 V 1000W DE lamp and ballast . The reflector has a unique design that allows you to install and remove lamps with ease. OPtically engineered for high performance.